When you go from billionaire to broke overnight, it usually means you're having a pretty bad day. You would think things couldn't get worse, but you'd be wrong. Just ask former billionaire Eike Batista, once Brazil's richest man. In 2013, after his EBX conglomerate fell apart and his oil firm OGX filed for Latin America's largest bankruptcy, Flavio Roberto de Souza, the judge presiding over some of the charges against Batista, ordered a number of Batista's assets seized, including a Porsche Cayenne Turbo S. To add insult to injury, the Judge was then spotted driving the Cayenne he himself ordered confiscated. 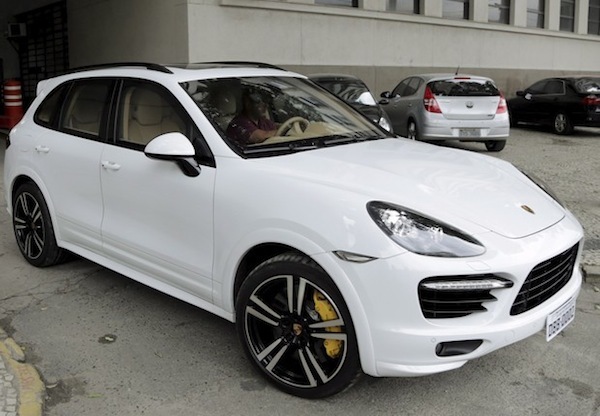 Unfortunately, for the Judge, those that spotted him driving the Cayenne were reporters from a local newspaper. Their story, and the subsequent follow-up on sites like FLATSIXES.com went viral. As a result, judge Flavio Roberto de Souze was removed from the case against Batista and all his decisions in those matters annulled. Now, more than 2-years since we first reported on this story, de Souze had his own day in court where a Brazilian Federal Judge sentence him to 8-years in prison for his unlawful use of Batista's seized assets that included the Porsche, another luxury vehicle, a piano and several Rolex watches. I'm not sure the writers on the TV show "Billions" could have scripted a better story.